I’m sure you will be very surprised – cough – that many of my connections with good times tend to include food memories as well. Already you have gotten a lot of nostalgic dishes from me. Remember Peanut-Butter and Nostalgia Banana Bread? Mom’s Famous Potato Salad? Look, it’s even in the recipes’ names! This recipe combines a several ingredients that I fell in love with in Greece. Ingredients I didn’t even really appreciate until I went there. I wasn’t a fan of kalamata olives until we actually went to Kalamata; the tomatoes were the epitome of tomatoes; fresh rosemary and olive oil on a salad was a revelation; and zesty goat cheese wasn’t even on my radar until it started coming in great slabs on top of everything. When you combine the best of such ingredients with other whole foods that are actually as much a part of the place as the Mediterranean people and landscape, it’s as if you can actually taste the essence of the Mediterranean itself. Like licking the Parthenon. This is what I call food-therapy. It’s not like eating away your emotions or anything like that. 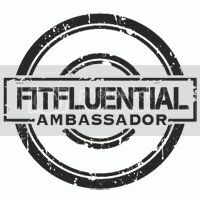 Just another, healthy, way to connect with another time and place. Speaking of healthy, this one is that. Low in added fat, the vibrant flavors of extra virgin olive oil and super-tangy goat cheese speak volumes without being added in volumes. We need little else in addition, especially when our whole grains are cooked in broth and coated with lemon, garlic, onions, olives, and rosemary and encased in a warm, juicy red-pepper shell. We might not even need a glass of red wine to go with it. Oh, wait, on second thought, we probably do. Maybe just one. In a pot with a lid, or rice cooker (my favorite no-worry method,) cook the farro in the broth, about 15-20 minutes, or until the faro has absorbed the water and is tender but still has a bite to it. Meanwhile, cut the tops off the peppers and remove the seeds. Cut the peppers in half lengthwise and remove any of the remaining white parts on the insides. Place these, hollow-side up, in a large glass casserole dish that has been sprayed with olive oil. Sauté the diced yellow onion in the olive oil, with salt and pepper, about 3 minutes over medium heat. Add the minced garlic and rosemary and sauté 2 minutes longer. Turn the heat off and add the sausage (if using), as well as the chopped green onions, chopped kalamata olives, diced tomatoes, lemon juice, and seasonings to taste. When the farro is ready, mix into the rest of the ingredients, adding seasonings as necessary. 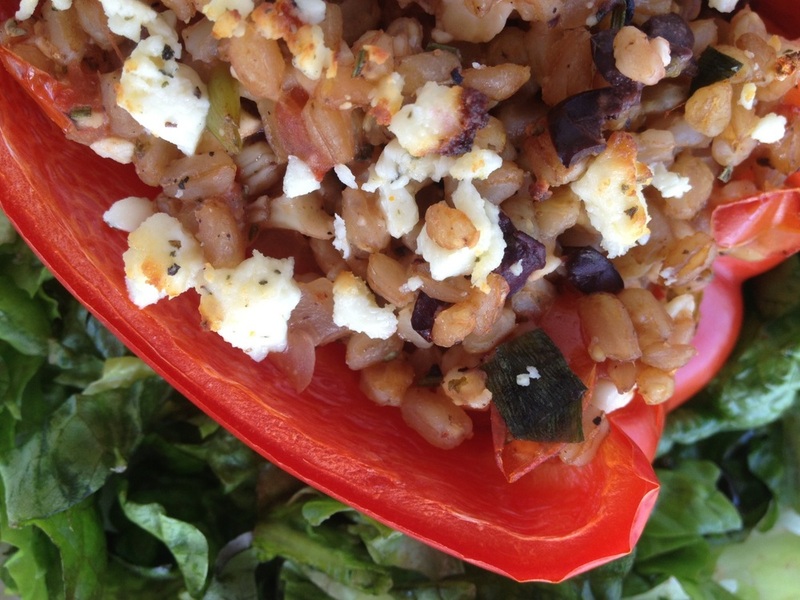 (You’ll probably need a little more with the added farro.) Add half the goat cheese, and mix in. 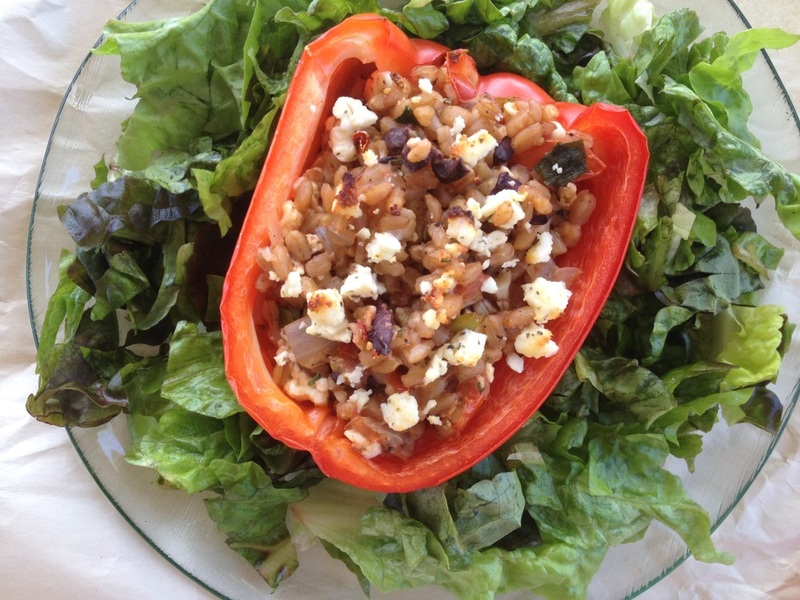 Fill the bell pepper cups to the brim and a little beyond and top each one with remaining goat cheese. 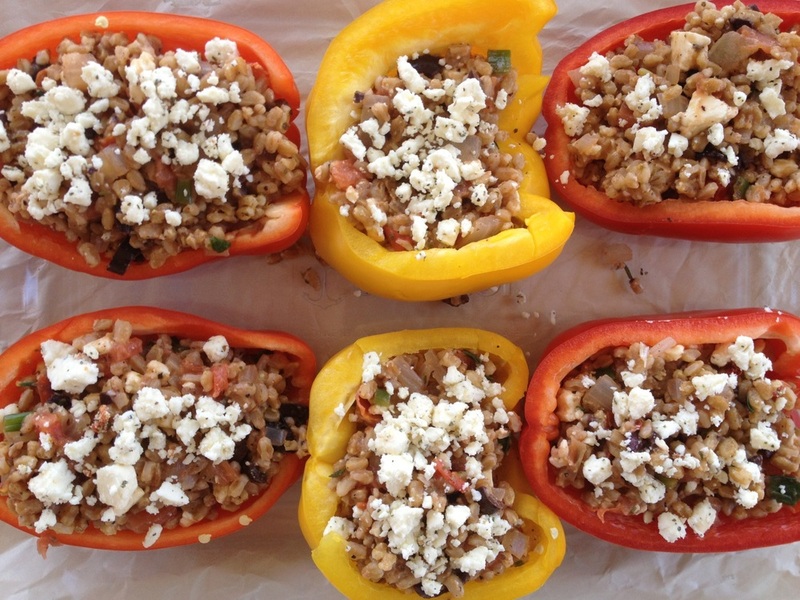 Bake these in the oven for 20 minutes, or until the peppers are tender, and the cheese is slightly browned. Enjoy hot from the oven, perhaps with fish, a salad, or all by itself!